When I make something for myself, the idea is to create a look around what I have made or have in my wardrobe. My grand vision is to create a perfect wardrobe where everything is unique but goes well together. I had this idea exactly in mind when I made this pair of short. I had been noticing the trend of shorts and leggings for quite a while now and love how the bagginess of the shorts and the leggings creates this soft, yet sculpted shapes. I just feel the need to own one of this pair of shorts. I also feel myself slowly being sucked into the ‘all black’ tribe. I do have to admit that sometimes wearing just monochrome colours feels slick but at the same time safe. I still have my colour and print days but recently I’m in a mood for monochrome. I started out trawling the internet for examples of this look so I can gauge the proportion and style. I knew I wanted something baggy but at the same time, I wanted it to look expensive. 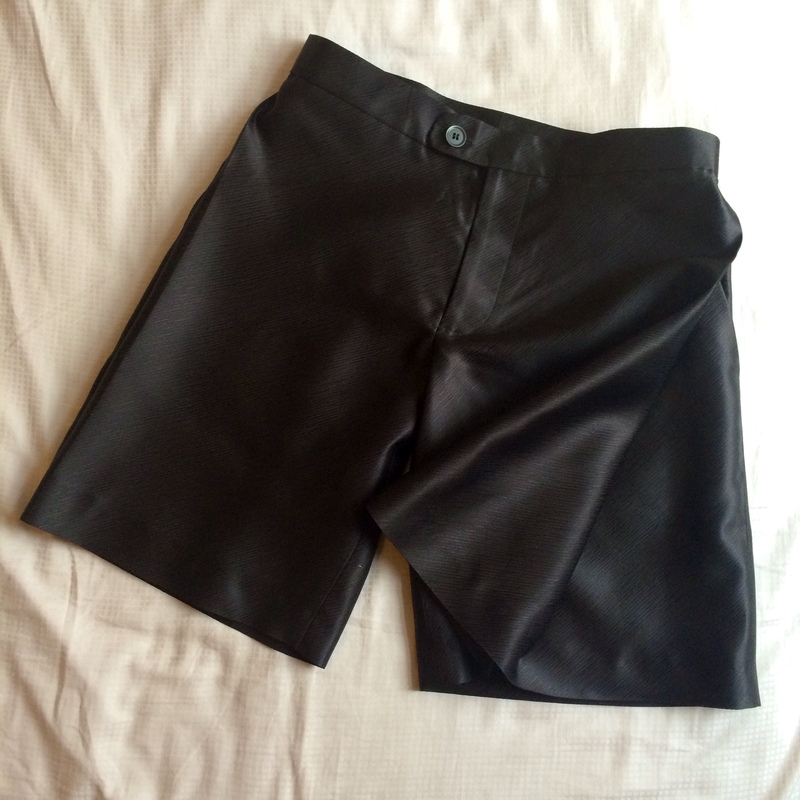 I decided that the best way to add volume while maintaining the tailored shorts shape was to add a pleat. I did this by pleating a piece of paper while overlying my front trousers block on top to ensure that the depth of the pleat did not exceed the width of the front trousers block. 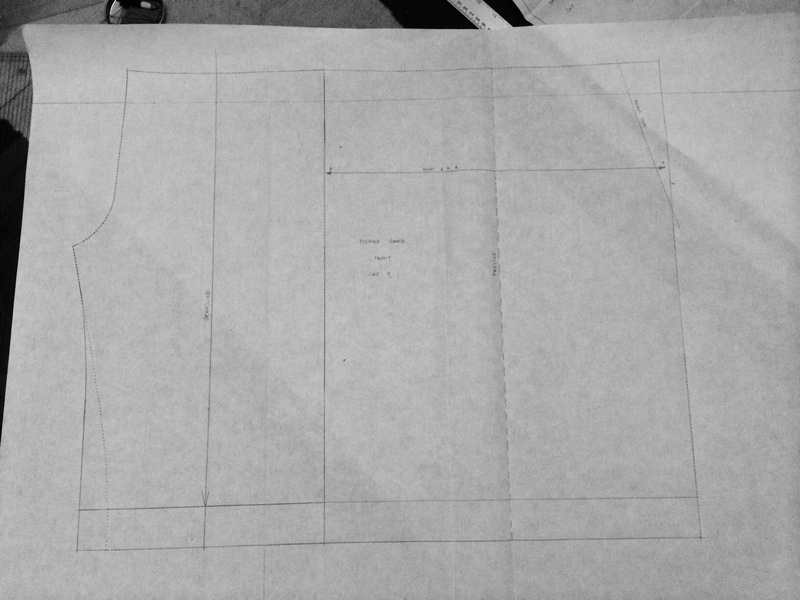 Once the trousers block has been traced on with a tracing wheel, I opened up the pattern and drew the outline of the pattern. Seems very easy and it actually is. 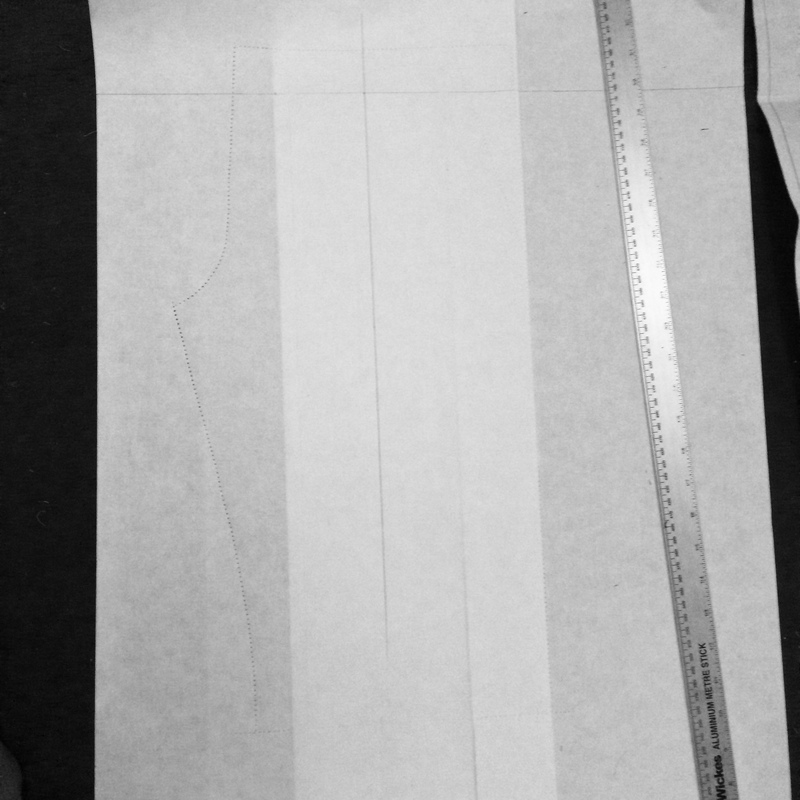 I did several modification to the original trousers block pattern, namely chopping off the length to the knee and widening the width of the hem. I only added the pleat to the front as I like the way the pleat hides the pocket and the idea of how it opens up when I walk or sit down. With the pattern done, I then went to bed. Yes. The idea hit me around dinner time and when inspiration strikes, I either need to get it into my book or actually cut it out. The next morning, all that was left was to cut the fabric out and sew it. I used a gorgeous heavy silk twill fabric I bought from Jim Thompson in Bangkok (for the fraction of the price you would get here in UK). And here is the outcome. 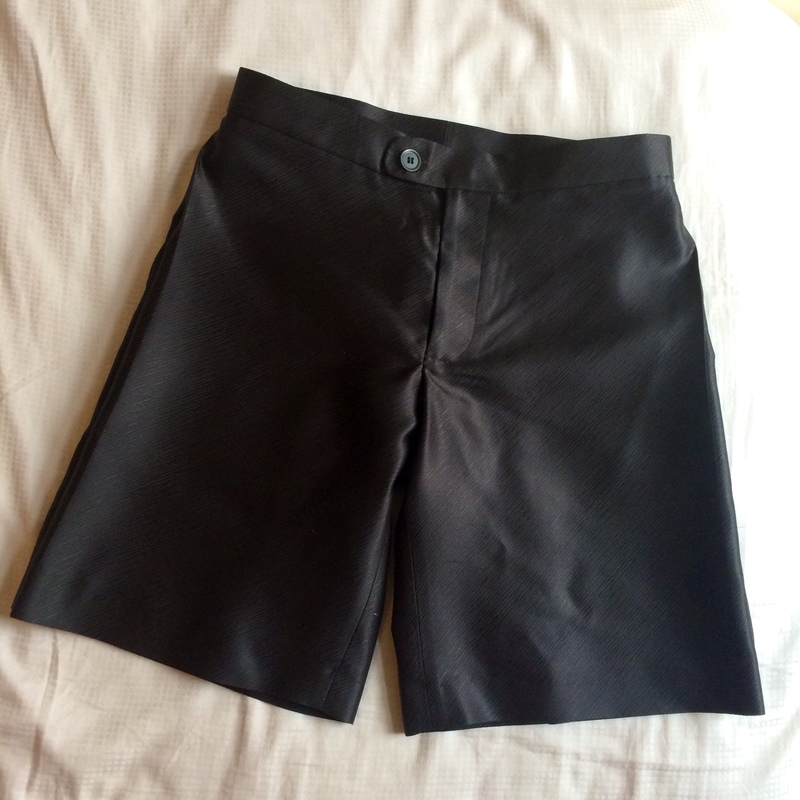 Looks like a normal pair of shorts! Until I open the pleating! And don’t forget the hidden pocket! 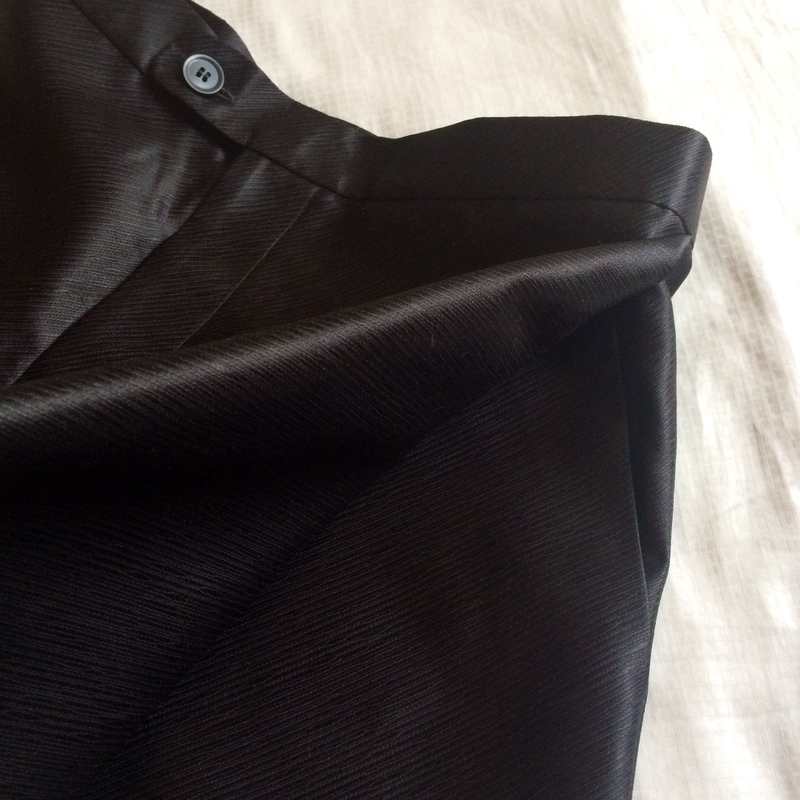 I couldn’t wait to get it on to see the pleat in action when I walk, sit or just put my hands in the pocket. I even dressed up for the occasion, with leggings of course! 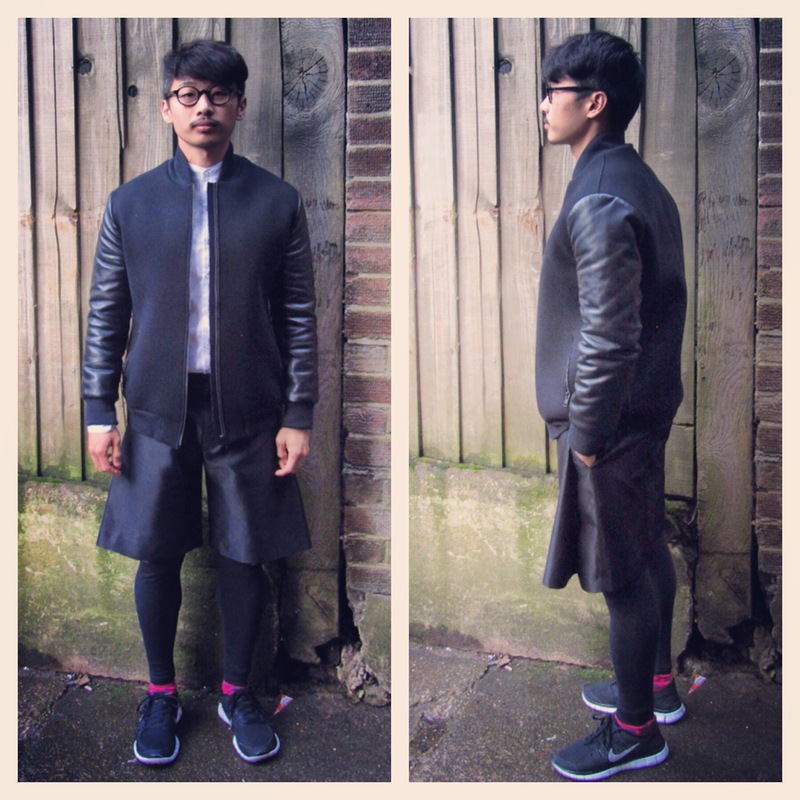 I actually like how this look goes well with the neoprene jacket I made previously. The pleat sits quite well in the front but it evolves everytime I move. Seeing how this technique works, I wonder how it would look like on trousers and also what I would get with pleats at the back or with a contrasting colour hidden in the pleats. Oh well, I will leave this experiment for another day.